I used 2 MFT stamp sets with their coordinating dies for the images, I coloured them with Shinhan alcohol markers. For the castle I used the brick wall MFT stencil and Hickory smoke distress ink on Bristol Smooth cardstock. I die cut it with the castle die-namics to build the castle of Jana princess 🙂 I used the dies in the set to cut the other castle elements from dark grey cardstock. The sentiment is from Scrapfellow, stamped in black and some SSS/Lawn Fawn inks. It reads: invitation for a birthday. For the background I sponged some Tumbled glass distress ink on a white card base. When assembling the castle I used thin 3D foam tape for more dimension. Of course I had to add a lot of clear shimmer to the images (Spectrum Noir) and emphasize the eyes with a black glaze pen. Glossy accent is used also to make some details shining. I did not do that on all cards, but I added a mini brad as the door knob. For the inside I printed the details of the venue on coloured paper and die cut it with a stitched rectangle die. As it is our last birthday in the KG, I wanted to include a pic of my princess (on a swinging horse to match the theme) as a memory for all her little friends. I printed and matted hem with a white stitched rectangle and a colourful paper piece before adhering to the inside of the cards. Of course we had to use matching envelopes: I stamped a princess and the same sentiment in black. It was a long project, but I put my heart in it. My sweet little girl was so happy and I hope her friends enjoy these cute cards too. I will bring some new inspiration again soon, hope you pop in next time too. Today I want to show you a card I made for my favourite postmen (there are 3 who usually bring me my happy mails so I made 3 of the same design) as a thank you gift. I stamped and coloured the little penguin postman and little package image from the Sugar Pea Designs Happy mail set, I used Shinhan alcohol markers. I fussy cut them and used a black marker on the edges to make it look perfectly cut. I printed my Hungarian “with thanks” sentiment on kraft cardstock and die cut it with a stitched banner die (MFT). As a background I chose a nice patterned paper from a pad I got at my local discount store. I popped up the images with thin foam tape (SSS) and as a finishing touch I added some Spectrum Noir clear shimmer pen, black glaze pen and some glossy accents. I adhered it all to a red card base. When I gave it to the postmen, they gave me their brightest smiles and I could really see how surprised they were and how happy this tiny gesture made them. I will play along with the Sugar Pea Designs Mix it up Challenge #27 and also at the SSS Wednesday Challenge Anything goes. 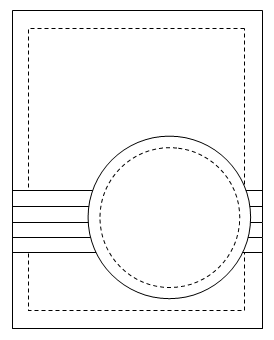 As this was a new stamp set to me and because I never made a card for postmen before, I will also link this project to the SSS Work it Wednesday: Something New. I hope you like my card and got inspired to share some handmade kindness. 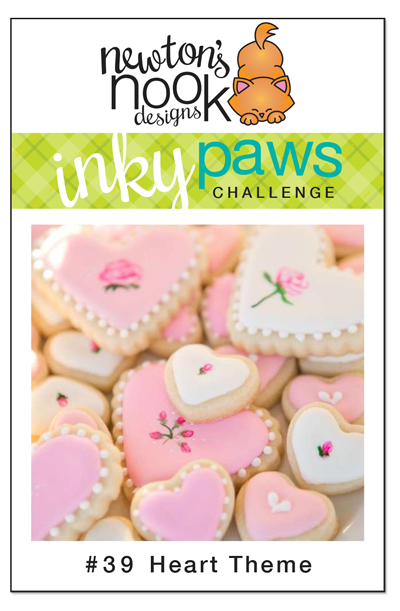 I wanted to share my latest card for the NND Inky Paws Challenge #39 Use a heart. I just felt that the “kissing” cats from the Christmas cuddles set match the upcoming Valentine’s day so well, that I had to use them on a love-themed card. I started with a piece of Bristol Smooth cardstock, applied several distress inks and spritzed it with water. After 20 seconds I dabbed it off with a paper towel and ran it through the Big Shot with a Next Level embossing folder from WRMK. I stamped, coloured the kitties with Shinhan markers and die cut them with the coordinating dies. I used a Lawn Fawn heart die to cut a purple heart for the background and a strip of vellum to hold my black embossed sentiment (MFT). I also cut the Forever die from Reverse Confetti 2 times from pink cardstock, and layered them on top of each other under the embossed sentiment. I always have difficulties with adhering vellum, this time I wrapped it around the inked background panel, and I also added dots of Multi Matte Medium behind the die cut word. After gluing everything in place, I added a bit of clear shimmer with a Spectrum Noir shimmer pen to the collar and ribbon of the cats along with some glossy accent. I made their nose shiny black with a glaze pen. 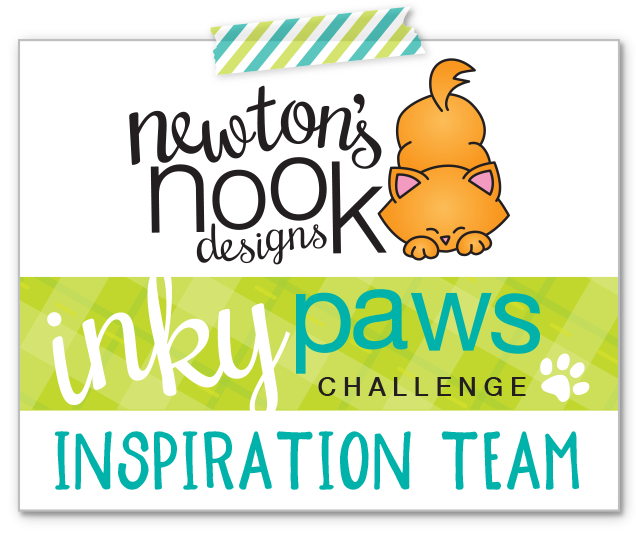 I will link this project up to the SSS Wednesday Challenge too (Anything goes). This is my second post for today, I really want to catch up and I enjoy playing along with different challenges. Today’s card was inspired by the January sketch challenge at Seven Hills Crafts. When I saw this sketch, I immediately thought of the Picket Fence die from Lawn Fawn. It is my most used die I think, it makes the perfect thin stitched strips. I started with selecting the patterned paper for my background (Taylored Expressions) and I di cut it with a stitched rectangle die from Lawn Fawn. I selected 4 matching cardstock scraps and cut the strips. Then I also cut a light pink circle (Lawn Fawn stitched circles) to hold my image, which is from Pix’s Favourites (Mama Elephant). I coloured the bunny and the trunk with Shinhan alcohol markers and die cut them with the coordinating dies. I stamped the sentiment (Mama Elephant) on the left side of the circle to leave enough space for the cute bunny. After adhering the elements in place, I added some finishing touches: black glaze pen on the eyes, Spectrum Noir clear shimmer pen to the heart and also glossy accent – not only on the heart but on the ribbon too. I hope you like it, it is perfect for Valentine’s Day, but also as an everyday sweet message to a loved one. My daughter is tiny sick now so she is not going to KG this week. It means more time at home which equals to more crafty games. Recently she got a clay horse which can be painted (everything was included in the kit). It took her approximately an hour to finish this masterpiece. I needed some pink today, so I decided to make a pink-teal combo for the current Inky Paws Challenge at Newton’s Nook (#39 Use a heart). First I cut a stitched strip with an MFT die from Audrey Blue cardstock, I matted it with light pink. I used lovely Doodlebug washi tape before gluing it on my card base. Then I stamped the sentiment in black (MFT) and cut a pierced heart from Doodlebug pink patterned paper as a background for my kitties. The cats are from my favourite Newton’s Nook set called Newton’s Christmas cuddles. Although it is a holiday stamp, it is perfect for Valentine’s Day too. I stamped them on Copic friendly cardstock and coloured with Shinhan alcohol markers. I used the coordinating dies to cut them. A bit of Spectrum Noir shimmer pen on the scarfs and some glossy accents. I also couldn’t resist to add a tiny pompom (Pretty Pink Posh) on the cap of the male cat. I glued the kitties on the heart and I popped it up with some thin foam tape (SSS) on the card base. I hope you like my card and will check back later too. Just a quick post to show you another card I made with the Gerda Steiner Designs December-January bundle. This time I used the cute dog image, printed it from a word document (where I added my sentiment too) and coloured with Shinhan markers. A little clear shimmer, black glaze pen on the eyes and glossy accent on the nose made it a bit more dimensional. I die cut it with a circle die and I gave it a subtle light blue patterned paper background. I also cut the Avery Elle burst die from SSS Cornflower blue cardstock and cut a circle in the middle slightly larger than my white focal panel to allow the background to show through. I popped them up using 3D foam tape and finished off with some iridescent sequins from my stash. I hope you like this card which is perfect for men too. I am uploading this card to the GSD Share your design Challenge #29.